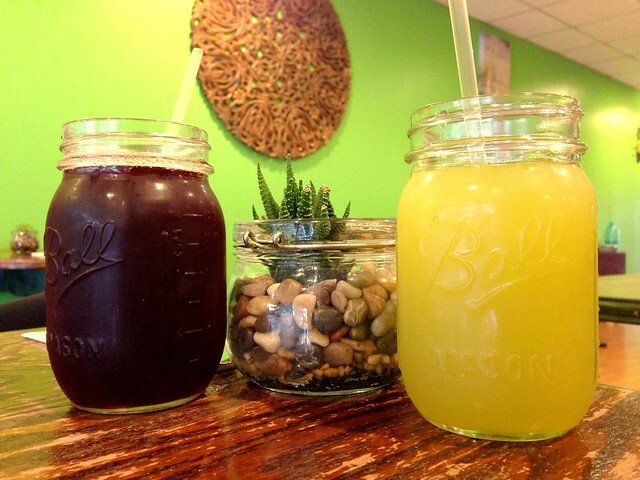 Montclair’s new health destination with a Caribbean twist, Vital, has been opening to rave reviews and I recently set out to finally try this spot for myself. (My disclaimer to this story is that my good friend’s cousins own Vital.) The truth is that it’s absolutely delicious and that connection had no part of this coverage. Owned by brother-and-sister duo Kwame and Nataki Williams, family is, well, vital to Vital. Their goal was to create a meeting place that would please all of the different taste buds and dietary restrictions in their family. They wanted it to be simultaneously satisfying and true to their Jamaican culture. Their slogan, “where eating to live and living to eat meet,” is displayed prominently on the website, menu and the large, decorative chalkboard that overlooks the juice bar. 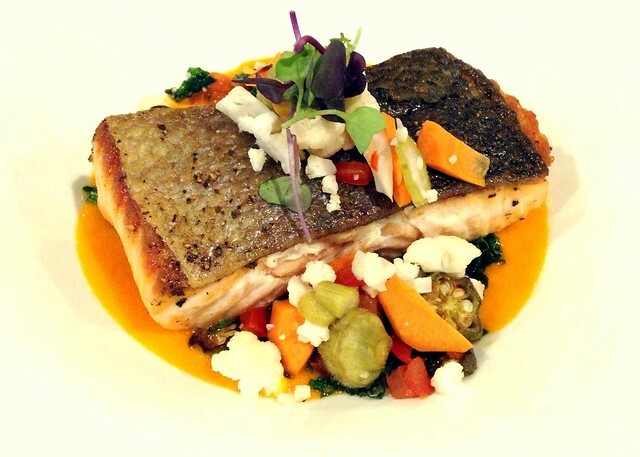 A firm believer that a meal can leave a lifetime impression, Executive Chef Williams, who studied at the Institute of Culinary Education and is formerly of the Pleasantdale Chateau in West Orange, jumped at the chance to revitalize the former HLS Juice Bar & Grille location into a destination where culture, health and deliciousness were synonymous. People following a gluten-free diet, vegans and meat-lovers alike can all find something on the menu to please, and their servers are well-versed in dietary restrictions to help you select the best dishes for your diet. As a gluten-free diner, I was excited to hear that gluten-free breads and wraps are available for their lunch options, and although their menu will be changing seasonally, their current dinner entrees are almost entirely gluten free (minus the couscous on the sirloin entrée and the vegan fettuccine pasta). Most exciting of all is the possibility that a gluten-free waffle may even be popping up soon on their brunch menu! (It’s a rumor right now, but stay tuned.) Diners will also be happy to know that all sauces are homemade in-house and contain absolutely no processed ingredients. The Vital team also sources its eggs and as many veggies as possible from the local Montclair Community Farms. Vital’s juice bar is the shining centerpiece of the space, with ornate tiles as décor and a sign expressing another one of its core values: “family is everything.” The juice options, served adorably in mason jars, are expansive and include freshly squeezed juice, smoothies, iced and hot teas, and even a homemade ginger beer. I was thrilled to find green juice options for less than $10, which seems to be the Montclair-area standard (only $8 on Vital’s menu). Popular options include the Mean Green with broccoli, green apple and grapes, the Roots with beet, ginger and carrot, and the Detox featuring green apple, kale, cucumber and celery. The smoothies are also a steal at $6, and my personal favorite, the Stop Light, includes spinach, strawberry, banana and orange juice. My dinner visit last week began with the Vital Lemonade, a refreshing combination of pineapple, basil and lemonade, while my friend enjoyed the Maroon, a combination of beets, grapes and apples. 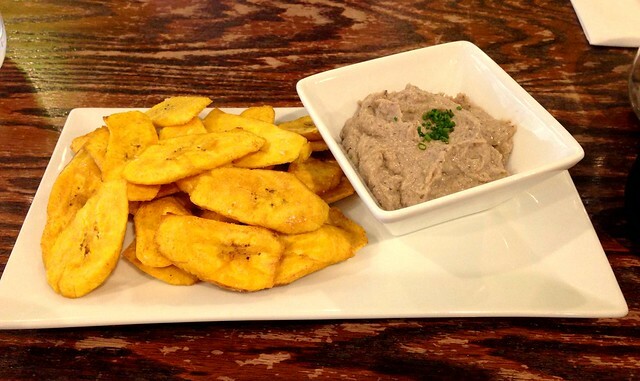 We also started the meal off with a starter of black eyed pea hummus and plantain chips. Chef Williams has mastered the art of lightly frying the plantains to embrace the crispiness without any of the greasiness associated with frying. These, sprinkled with sea salt, were incredibly crispy and a bit thicker than what I was expecting, which allowed you to really taste the flavor and tenderness of the plantain as you dipped them into the airy and light black eyed pea hummus. The combination of flavors was heavenly, and I admittedly ate most of the dish myself. Vital’s menu also offers a great array of salads, soups and other appetizers to start your meal with, but I highly recommend the hummus. It’s so good that although it originally appeared on the menu as part of a sampler platter, it’s recently been added as its own option due to the exceedingly positive feedback diners were giving it. The entrées were difficult to decide on (a welcome change for me, where there are usually only one or two g-free options to choose from), and after a tough battle between the salmon and the BBQ tamarind chicken, I opted for the seared salmon, served on a colorful bed of okra succotash and house-made pikliz (pickled vegetables). The fish was simply grilled, incredibly fresh and a very hearty portion size. I usually stay far away from salmon skin, yet found myself devouring the crackly crust that topped the fish. I was slightly skeptical about the pikliz, but loved the fresh bed of vegetables rounded out with a sundried coulis sauce that was delicious, simple, and overall very filling. A perfect display of a healthy dish with Vital’s classic Caribbean twist. 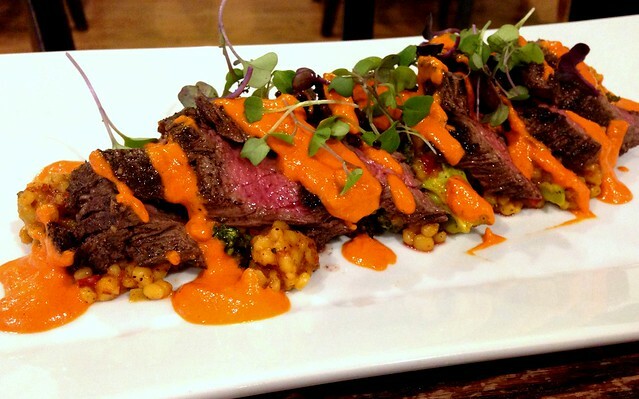 My friend’s steak choice, the sirloin bavette, was a new addition to the menu featuring a sirloin cut grilled to a juicy perfection served atop Israeli couscous and drizzled in a red pepper coulis. I snagged a piece of her steak, loving the smoky flavor from the grill and the pairing of the red pepper sauce. Vegans and vegetarians still have great options to choose from as well, including curried cauliflower, cassava dumplings and a jerk portabella. As the restaurant is brand new and little more than a month old, diners should be prepared for some menu changes as they test out different breakfast, lunch and dinner dishes that will remain menu staples, while rotating out seasonal house specialties. I’m excited to return to try one of their signature dishes (and already a fan favorite): the stuffed avocado, featuring arugula, almonds and pico de gallo tossed in a house vinaigrette. Vital offers both delivery and catering services, and diners are welcome to BYOB or have either of two local wine stores deliver straight to their table. Congrats to the Vital team for creating a healthy and delightful destination in Montclair! Melissa Colangelo is a Jersey Bites Contributor for Essex County. Melissa grew up on the Jersey Shore and returned to the Garden State after four years of living in Boston for college. Melissa works in publicity/promotions by day, but at night loves checking out new restaurants and cooking up new recipes with her husband in their Glen Ridge home.